Since 2010, sheriff’s Capt. Andy Duch has led and taught at the annual 40-hour Butte County Crisis Intervention Team (CIT) academy, which is sponsored by Butte College with the sheriff’s office and Butte County Behavioral Health as the lead agencies. Using unusually strong language in an e-mail exchange this week with ChicoSol, Duch wrote: “I am unsure if we will be having an 8th CIT Academy in 2017 as I have withdrawn my participation after reading and hearing the assertions made by the Chico Police Department in response to the shooting death of Desmond Phillips. According to Pickard, 16 of Chico PD’s sworn personnel have gone to a 40-hour CIT academy, while 51 other police officers attended an eight-hour CIT session that Police Chief Mike O’Brien brought in-house at the end of 2015. 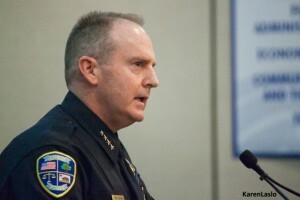 Butte College records show that a total of just 10 of the 92 current Chico police officers have participated in the 40-hour Butte County CIT academy since 2010, said Mike Maloney, Chico’s ex-police chief and the director of the college’s Public Safety Education and Training Center. Two Chico police officers attended the academy in 2015, but none from Chico was in attendance in 2013, 2014 or 2016, Maloney said. “The two officers involved in the shooting of Desmond Phillips most assuredly had not received CIT training in Butte County,” Capt. Duch wrote in an email to ChicoSol. 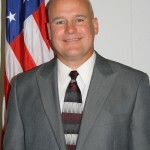 O’Brien said the only state mandate for mental health training beyond the basic police academy are recent requirements that the department’s field training officers (FTOs) attend an eight-hour course. All of Chico PD’s 17 FTOs have been scheduled to attend such training, he said. O’Brien noted that the Police Community Advisory Board will convene May 17 for what he hopes will become a comprehensive community-wide conversation about the mental health system. “I believe it is an issue that encompasses more than just CIT training,” O’Brien said. The “CIT” abbreviation is often used interchangeably for “crisis intervention team” and “crisis intervention training,” according to the web site of the California Commission on Peace Officer Standards and Training (POST). Dave Waddell is ChicoSol news director. This is certainly not a reason for Andy Duch to quit. He should have stayed and kept on fighting for improvements and to get the Chico Police Department to get more officers to undergo this training. Andy Duch’s responses and the stats he provides MUST be included as part of the “independent investigation” into Desmond Phillips’ death. O’Brien’s response that mental health issues “encompass more than just CIT training” is a deflection. No one is saying that is the only issue, but it is disingenuous for Chico PD to claim their officers get adequate training while not REQUIRING ALL of their officers to take such training when it is readily available. With such training, Desmond could be alive and well today. I vehemently agree that all Chico police officers must be required to get adequate CIT training. In response to a letter that I wrote to City Councilman Randall Stone, he wrote me back and said “I originally called for a mental health response team – specifically citing the successes I worked under as a member of the Domestic Violence Response Team (DVRT). Similarly, I called for social work and mental health teams to respond in conjunction with police officers. This was using a model that worked in domestic violence (where I and my wife, Krista volunteered/worked respectively for 6 years). My wife has spent the last 11 years as a Senior Social Worker in Butte County, providing similar backup services to law enforcement. So I know the program can work.” I take it that Stone is talking about elsewhere in the county. However I believe that the issue goes beyond law enforcement. We desperately need to get treatment for the mentally ill. This must include homes or mental hospitals for those who are not able to take care of themselves. With just better police training, Desmond COULD be alive. I still don’t know about well. However if we were treating and caring for the mentally ill which unfortunately we are not, Desmond WOULD be alive. CIT training needs to be a part of every sworn officers training, however, while probably good, I don’t know how this specific training stacks up against other CIT training courses from other institutions. The very point of CIT training is that things don’t escalate to a point that we hear about it in the news. It’s a great idea in general, However we probably shouldn’t be so quick to endorse his training specifically by name as much as just CIT training in general, lest we become an un-credible shill. I agree with Emily Alma: it should have been required. However, I can’t help but wonder. Shouldn’t this training be part of basic police academy training? Shouldn’t racism, mental health awareness and how to diffuse a tense (and potentially dangerous) situation be Policing 101? Sounds like we need Andy Duch to write Policing 101. Police need to be policed. My sister, Michele Robey was shot and killed by Chicago Police officers within two minutes. during a mental health crisis on Feb. 10th, 2017. They did not dispatch CIT as they were 40 minutes away. My heart goes out to the family, it breaks for them all. The word of the day is police accountability. ALL police officers should be mandated to take the 40 hour training. It isn’t just for the mentally ill, but for many types of incidents that needs de-escalation. Michele would be here today if the officers used de-escalation techniques, for as long as it takes. In my opinion you dont need a class or seminar to know better than murdering a defenseless young man, in his home, in front of his Father who called for assistance for his boy. There is zero excuse for this tragedy. It is wrong on all levels. As a retired law enforcement officer, I will say that I strongly disagree with your opinions. While the article above calls into question Chico’s training on crisis intervention, the officers in no way murdered the suspect nor was the suspect defenseless. In fact, after the less-than-lethal option (Tazer) didn’t work and because the suspect was armed, aggressive and advancing on officers apparently slashing at least one knife, they had no choice at that point but to go to the next level. Stephen Farris, please get real. Yes, Desmond was armed all right. The dangerous weapon they found in his dead hand was a rubber door stop! The police also had combat shields at the scene that would have protected them but chose not to use them. A female officer was called in on a previous occurrence and was able to talk to Desmond and calm him down. Obviously they should have used this female officer on this occasion instead of these volatile, gun happy and over-reactive good old boys. According to the evidence that the murderer sympathizing DA had gathered so far in the investigation, within 55 seconds of busting down the door to the Phillips apartment, Desmond had 16 bullets shot at his face neck and chest. Many of these bullets going into the adjoining apartments and very well could have injured or killed any of those residents. Guess who gets to foot the bill when these officers are sued by the public? That’s right, we the taxpayers. These officers even busted down the door to the neighbor’s apartment to retrieve the bullets. I’d call that a cover up. These cops overreacted and used gross misjudgement. David, Desmond’s father and the two grandchildren were in another room with the door locked and were completely safe. Of course being a man, you would find this justified as men like you and these officers seem to be completely without conscience, frighteningly callous and overly testosteronic when it comes to any dealings that you would view as critical. I’m glad for our sakes that you are a ‘former’ law enforcement officer because if you approve of this sort of behavior, you don’t need to be in a position to serve or protect the public. It’s time we stop allowing police to be the judges, juries and executioners of the citizens in our communities. It’s time we get rid of the DA who consistently finds dangerous and negligent behavior like this to be justified. We need a Citizens oversight committee formed immediately to investigate incidents like these and we need to hold police accountable for their reckless and dangerous behavior because it puts all of our lives in danger. Ask any gentleman who has had the police out multiple times for an emotionally or mentally unstable female spouse or partner. The police simply ignore the gentleman, ignore their duty as mandatory reporters when children are present, and move toward the mentally unstable female. A quick assessments follows. 1) “Did he touch you, are you scared?” Hooking man on DV charge to feed family/criminal court. 3)”Are you going to hurt yourself?” A quick determination if their “victim”(intoxicated, bipolar, or personality disordered woman) is suicidal. After an officer goes out on a few husband/wife mental health calls, like the call above, where a gentleman’s wife is in crisis and winds up arresting the stable man, the entire process becomes irrational. The officer is no longer able to discern right from wrong, order from chaos, truth from lies a care or a concern. What follows is really scary. Police that are either crazy or could not care less. We are now being policed by out-of-control armed belligerent effiges scarier and proven much, much much more dangerous than intoxicated homeless, famlied psychotics, or house wives with personality disorders. Its time to deal with the elephant in the room, females who abuse their family members. The sickness caused by improper handling of families in crisis has spread thoughout society. Like so many indignities and injustices black folks have paid the greatest price. Black Americans have had family members killed, families torn apart in disproportionate numbers, and suffer higher rates of incarceration. The counties need to settle with the families of those killed by, for lack of a better word, “crazy cops”. While some believe we need to just get rid of the police and let people arm and defend themselves. We all need to recognize the mess the charlatan feminist “leaders” have left or courts and communities and demand real, measurable change. For many years the Chico PD did not have their officers attend this training. Chief O’Brien says all officers are ‘scheduled’ to attend, meaning most have not. They have never taken this seriously, although people like myself who have seen their abuse first hand have been calling for more training (and accountability) for years. I know several people who when having emotional/mental stress (while doing absolutely nothing to harm anyone) have been severely beaten by Chico police. The police carry on with no accountability, and people are traumatized for life. A lot of people who struggle with emotional/mental issues are terrified of the police and the recent unnecessary murder of Desmond Phillips has many terrified. The other big missing piece is community support. For people dealing with abuse and bullying in the community there is no support. At Behavioral Health there is no support. Behavioral Health services in Butte County are atrocious. Most “mental health’ problems are a result of trauma experienced in childhood and in life. BH gives no counseling or therapy to help people understand how these issues effect their lives. They push everybody into medication and that is it. Traumatic head injuries cause similar symptoms as what is diagnosed Schizophrenia or Bipolar. But BH does not ever consider head injury, they won’t even talk about it as a possibility. More than half of people struggling with mental and emotional issues also have substance use issues (Dual Diagnosis). BH has no dual- diagnosis services, although in some states they recognize the need for co-occurring services and treatment for 30 years. Behavioral Health employees should be required to take sensitivity/de-escalation training also. There are some real bullies who work there and people who are struggling are at the mercy of people who don’t seem to even understand mental illness. People in the community ought to be looking into the lack of services offered in Butte County and demand better (instead of saying “those people need to get services”, that don’t exist). It would be a real loss if Captain Duch quits the CIT training, he is an excellent teacher. He offers a 3hr. training to community groups and it is excellent!Everybody would benefit from this training, we all can learn to be more aware and understanding of the experience of others. I have a family member that works for Butte County Behavioral Health. Your statements are most definitely incorrect. From my discussions with her, while medication is often a component of the overall care, the primary care provided by BH is counseling and therapy. Further, they do have dual diagnosis and drug and alcohol programs. I have several clients who see Physicians and counselors at Butte Behavioral Health and I can tell you that their sessions are woefully inadequate and do not address any of issues that my clients have: PTSD, Addiction, etc. The first line of treatment for these clients has always been to medicate. Many of the clients are forced to speak with psychiatrist via television where there is no way that the psychiatrist can sense what a client might be feeling or going through. I have watch time and time again as these psychiatrists have just either increase the medicationsthat my clients are taking or the dosage. Stephen Farris, why don’t you just stick to what you know which is that law enforcement should not be held accountable in any way for their horrendously dangerous behavior and quit responding to people who actually have family with mental illness when you don’t know what you’re talking about. Stephen Farris, I have talked to people who work there and they say it is a two-pronged approach; talk therapy and medication. Their literature lists numerous groups, programs and counseling. It all sounds good, but as a client, try accessing any of it. I can only go by personal experience and the experience of others that I know who have been involved with BH for many years. The literature claims to involve family members in a person’s treatment. I have found the opposite to be true. If you attempt to advocate for someone (for example to request counseling) they treat you like you are a troublemaker/enemy. They don’t return your calls or give any information, and they will spread gossip/poison about you to other workers so that nobody will talk to you. They can and do put whatever they want in a person’s record, affecting the opinion and judgement of anyone who sees the file (forever) whether true or not. I know a counselor who used to work there, sure that counseling helped clients. She was told to only give one or two counseling sessions, then refer clients to the psychiatrist for medication. She eventually had to quit, not believing that medication was necessary for everyone, but they were forced into it. Some people are able to navigate the system and negotiate for themselves, and they probably do get helpful services. People who are very emotionally or mentally distressed and not able to advocate for themselves often get lost in medication only, monthly check in with doctor and that is it. The primary care is NOT counseling and therapy, it is medication. Not very effective when no effort is made to get to the cause of the distress. The way people are treated often causes more distress and trauma for the person. I have seen this many times, for many years. There are exceptions to the rule. I’ve worked with a several extraordinarily caring and “bend over backwards for you” helping professionals at Butte County Behavioral Health. I’ve also worked with some amazingly skilled and caring police officers. But the egregious actions of too many police officers and Butte County Healthcare workers, who escalate problems, perpetrate violence (physical and mental), murder, (Desmond Phillips and others), to simply uncaring and unhelpful uselessness, cast a shadow over the good that is done. Even one out of control, inadequately trained person in a position of power is too many and when it appears that they are in the majority, well we’ve got a unacceptable problem on our hands. In response to Beth Fox: I’m interested in learning more about that 3 hour CIT training that Captain Duch offers. Do have at hand the contact info for that? Also, you clearly know A LOT about this issue and I do not mean to contradict you, but I know a person who ended up in BH and he said that the assistance he got was fantastic. I am glad to hear someone got fantastic service at BH. I know some people do get help there.